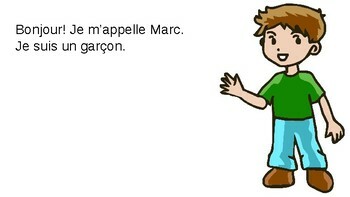 Use this powerpoint to read the short French sentences about each character. The slides in this powerpoint slowly scaffold student learning and adds more detail about each character. 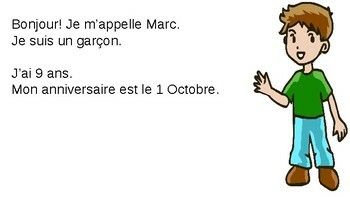 Information included: Gender, Âge, Anniversaire, Habite, Nationalite, Apparence.